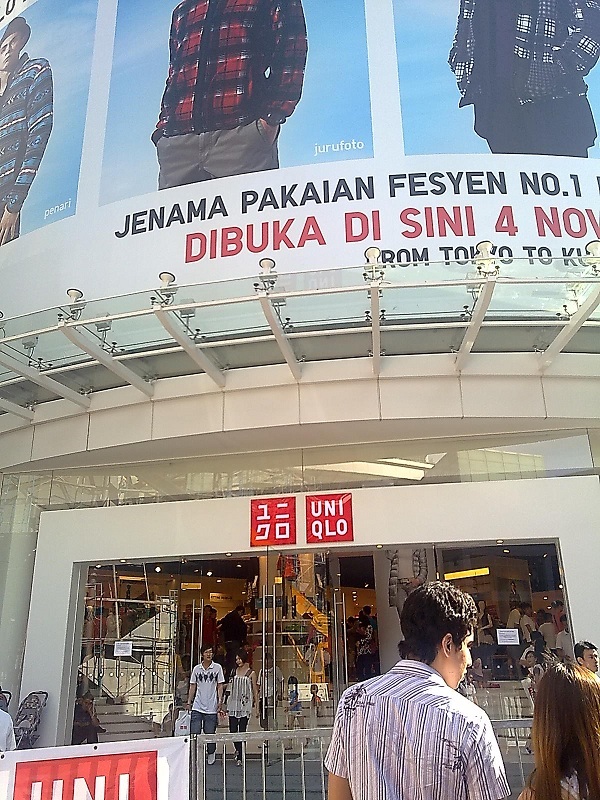 Since Thursday, KLites and people are talking about UniqLo in all social network platform! UniqLo even has its own facebook AND foursquare account! I know it's a Japanese brand, but queuing just to get in and have a look (or maybe buy) ? It's INSANE! 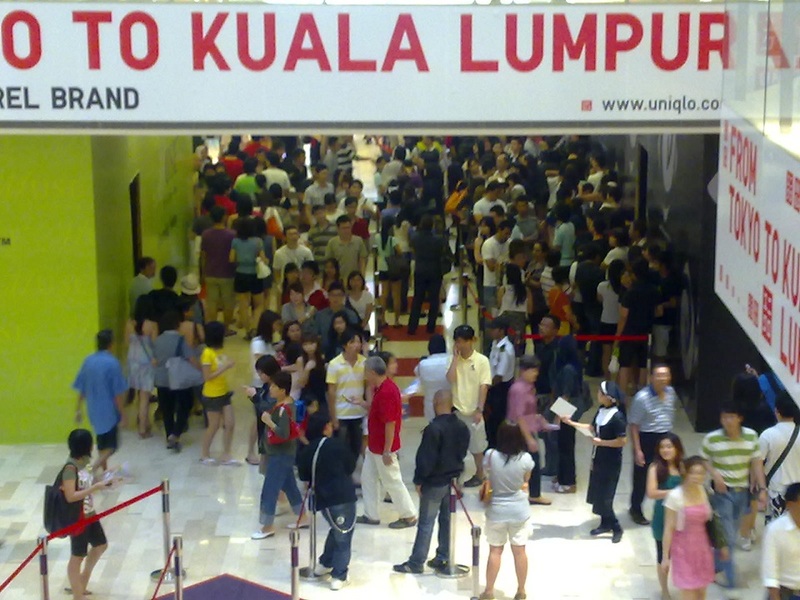 I heard thousands of people were queuing on the opening day which was Thursday 4th November 2010 and it was not just normal queue. It was LONGER than 5km. I mean, you need to take few hours just to get it, and by the time you got in there might be no size for you. HAHAHA. It's crap. I know. You are crap because you were in the queue. 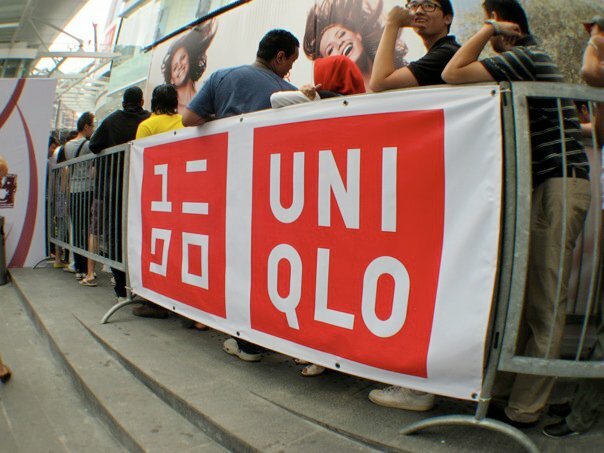 Of course one reason I could understand is that, Tadashi Yanai, the richest man in Japan was in the opening ceremony of Uniqlo @ Fahrenheit88. Do you guys really know him before or even when you were there and saw him ? 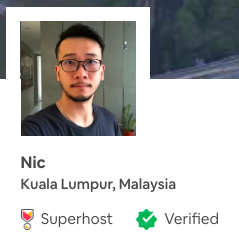 Haha...but I'm sure the Hitz.FM DJ would have told you guys on the run. Big posters on the complex building, and I saw people were still queuing. 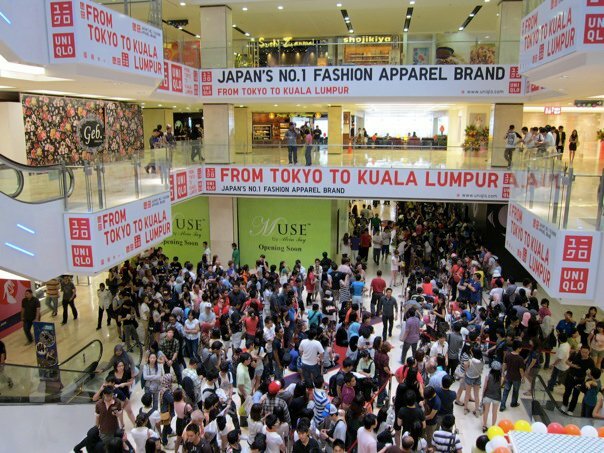 I don't know why Malay Language was used in this HUGE posters, because the crowds I saw were 99% CHINESE. 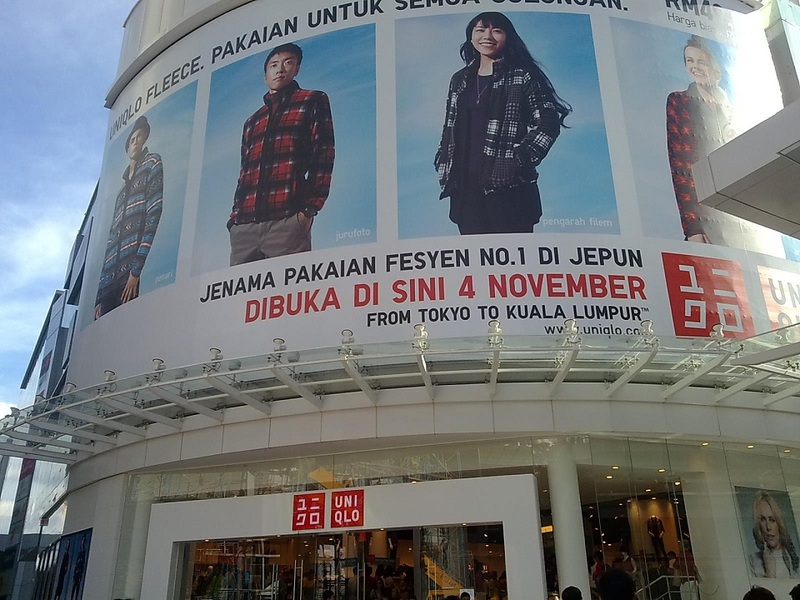 Was it because of Malaysia, so they had to use National Language? I was in 2nd floor and took the picture from inside. 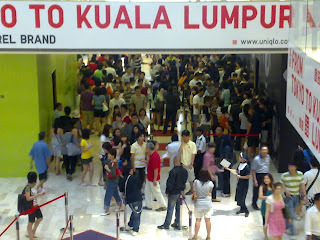 The crowds you saw here was queuing at the entrance. 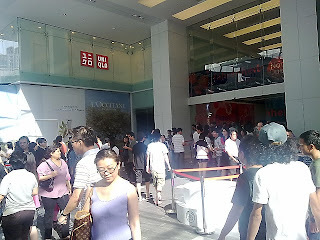 2nd day the queue wasn't as bad as the opening day as you can see in this picture, there was empty in the centre of Fahrenheit88. It was so different than the other day I went to Fahrenheit88. 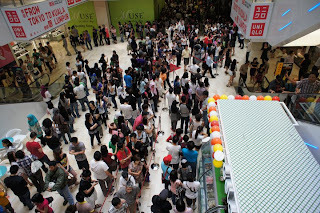 Now it is packed with people, mostly youth. Don't get me wrong ya. 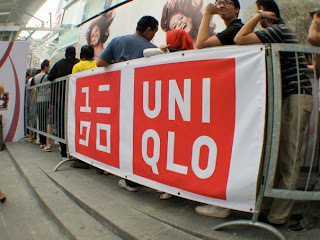 I wasn't there because of Uniqlo. 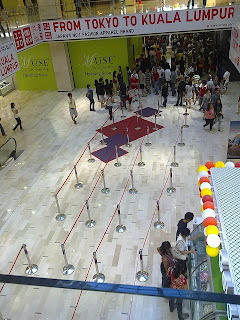 I was there because I went to Pavilion for Megamind movie in the afternoon. So just wanna blog about it when it is still HOT topic right now. Hehe. Madnesss...!!! I said it in the video clip above. LOL. 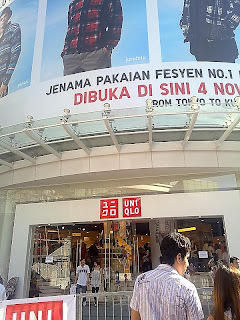 However, I certainly will go in Uniqlo for a look next time when there is no more queue. Okay, here's some photos and video from others, enjoy it.